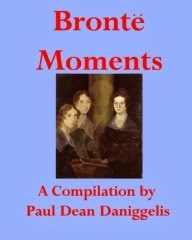 This is a potpourri of several previously published articles (albeit with additional material and photos), unpublished articles, plus three fiction pieces (short story poem, novella) all related to the literary Brontë family. It is accompanied by an autographed inscription reading, "I consider myself privileged to be able to write about this most remarkable family". The book is dedicated to the recently deceased Joan Helena Quarm, Professor Emerita from the University of Texas at El Paso. (1920 -2010) Joan was a long time Brontë Society member who has written an unpublished 1000+ page tribute to the Brontës, a copy of which resides in the Brontë Parsonage Museum Library. It is entitled Touching the Brontës. Prof Quarm was also considered the First Lady of El Paso Theater, having created the still running Gilbert and Sullivan Theater which has some 45 years of longevity. I was for a half dozen years, the Region 3 (Texas, New Mexico, Arizona, Colorado, Oklahoma) Representative of the US Brontë Society and for many years before a member of the UK-based Society. As representative I compiled, wrote, edited and printed a quarterly Brontë Newsletter. I have also published a biography of Catalonian sculptor, Urbici Soler. See Rodant Pel Mon. An anti-designated hitter baseball novel (Torii Cantu is . . The DH), and a soon to be released fantasy about a boy and a pony (Aldebaran and Prince Lux). I expect to release in 2014 a book of fictional murders (Murder in New York). On the back burner is the adult novel, The Ailanthus Affair,a skip-sequel to Henry James' Washington Square. From a 20th century reinterpretation of a Wuthering Heights' love story, to interviews with descendants of the Brontë family, the book Brontë Moments includes something of interest for every variety of Brontë fan. I can truly say that this is a one of a kind work: the kaleidoscope of information in Brontë Moments can not be found in any other Brontë book. Among the many articles, essays and appreciations [read fiction] in the book, I was particularly compelled by the novella Forever Amber. What Brontë fan hasn’t fantasized about going back to the mid-19th century and spending a day in Haworth at the Parsonage? As I read the story, I found myself right there in the parlor with Charlotte and Anne, and watched Emily walk by as she took Keeper for a walk. How reluctantly I had to leave Haworth and the three sisters as the teller of the tale said his farewells. This is a book that is perfect for the Brontë completist in all of us! The unexpected death on Monday of writer and artist Ian Emberson, who was much involved with the Brontë Society, has caused great distress for all who knew him. It is with a feeling of great sadness that I write of the death of Ian Emberson who died, unexpectedly, on 4 November. 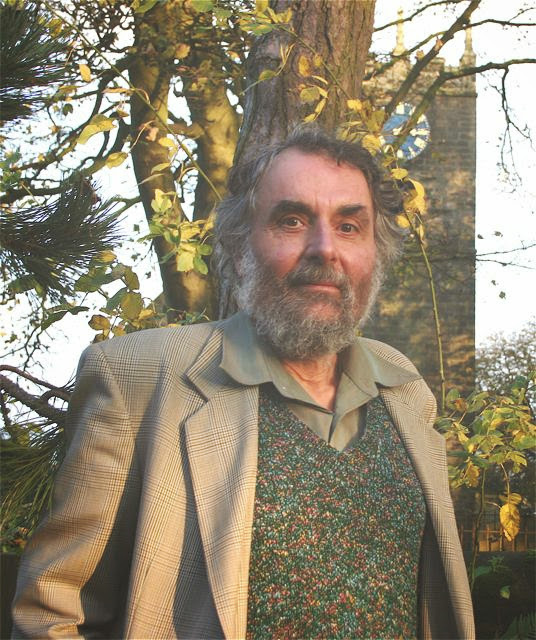 Ian was a life member of the Brontë Society and was a very good friend of mine and his cheerful and friendly presence will be missed by so many people. e-book Seaport at Sunrise, with its background of Cyprus in the 1950s, was published recently. He was an impressive artist, and his postcards and the illustrations in his own books and those of other authors show his wonderful talent. As a retired music librarian he had a great love of music, and beautiful settings have been composed for his poetry and an opera to his libretto. His knowledge of the Brontë family was vast and his book Pilgrims from Loneliness was an exploration and interpretation of Charlotte Brontë’s Jane Eyre and Villette - drawn from books which had had an early influence on her mind. He and his wife Catherine discovered recollections of the Brontës by George Sowden, younger brother of Sutcliffe Sowden who had officiated at Charlotte’s wedding, which had lain forgotten for one hundred years. They subsequently published them. The funeral service will be on Monday 18 November at 1.30pm in St Mary’s Church in the centre of Todmorden. Burial is at 3pm and it is so fitting for Ian, a great lover of nature, the countryside and the outdoors, that his final resting place will be in Cross Stone graveyard - high on the hills above the Todmorden valley. The four Brontë children were very familiar with Cross Stone as in September 1829 they went there with Aunt Branwell to stay with their great-aunt’s widower- the Reverend John Fennell. It was from the vicarage there that Charlotte wrote her first ever letter, a letter to her father back home in Haworth. In July 2005 Ian co-authored, with Catherine, an article, Turns in the circle of friendship: ‘Uncle Fennell’, 1762-1841, which appeared in Brontë Studies. Deepest sympathy is sent to Catherine and I am sure that those who knew Ian will agree with me that we are much poorer for his death but certainly richer for having known him. Since Ian's death I have received over 250 cards, letters and messages of sympathy, many from Brontë friends worldwide - thank you all. Ian was incredibly gifted in many of the arts and in addition to his articles and lectures many will know his beautiful poetry and artwork, especially through book illustrations and postcards - all of which sprang from a well of deep and highly sensitive creativity. Anne's insightful comment (see below) sums up Ian's contribution perfectly '...he brought love to his scholarship and this is the best kind...' Ian's was an important legacy and when I regain my strength somewhat I will do my best to maintain it. My ever grateful thanks are due to Isobel Stirk for the lovely tribute, for her dear friendship over the years, and especially for her comforting support at this difficult time."